Spring is (hopefully) just around the corner, despite the actual 'Spring Begins' on the calendar. With all the snow we've had this winter, we spent a good (way, waaay, too much) time indoors. 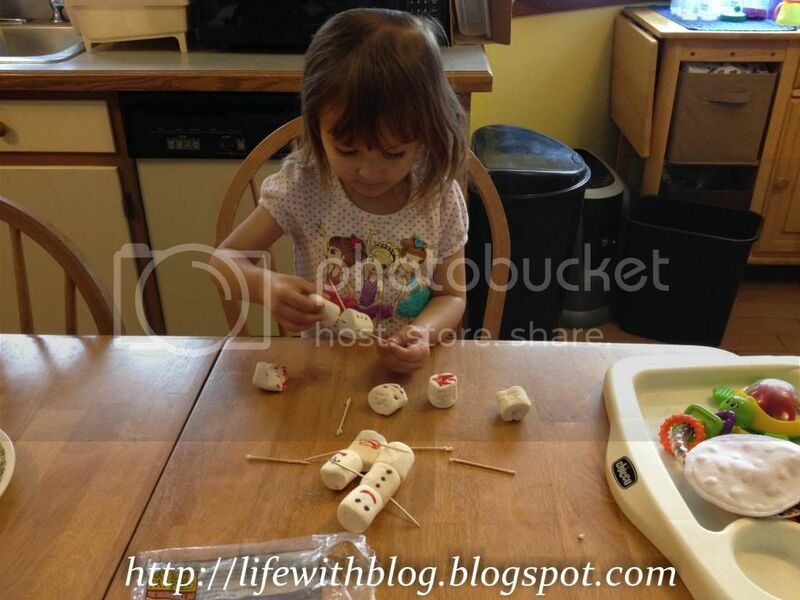 One of the little activities my sister did with Keira was making marshmallow snowmen. She had a ball. 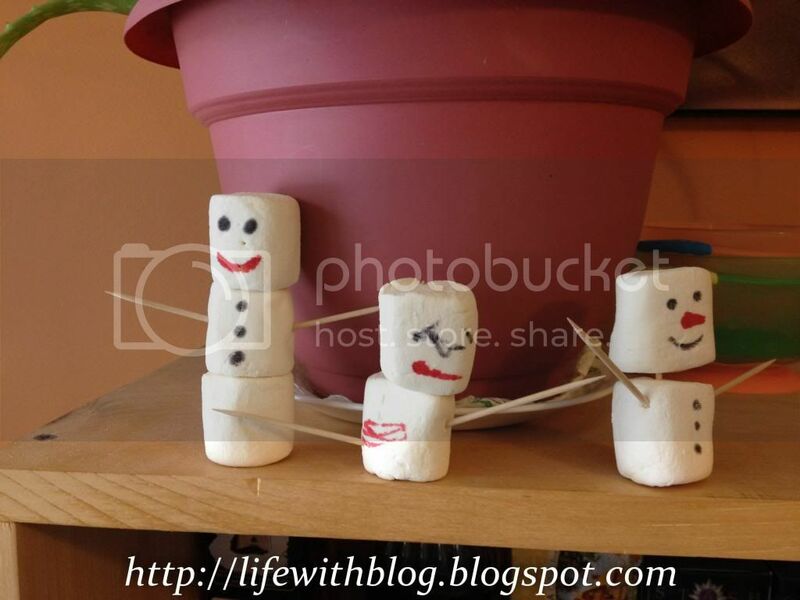 A bag of marshmallows, soem toothpicks & some food pens. I think this will definitely be annual winter fun. Look how cute. And then you can put them in your hot cocoa.